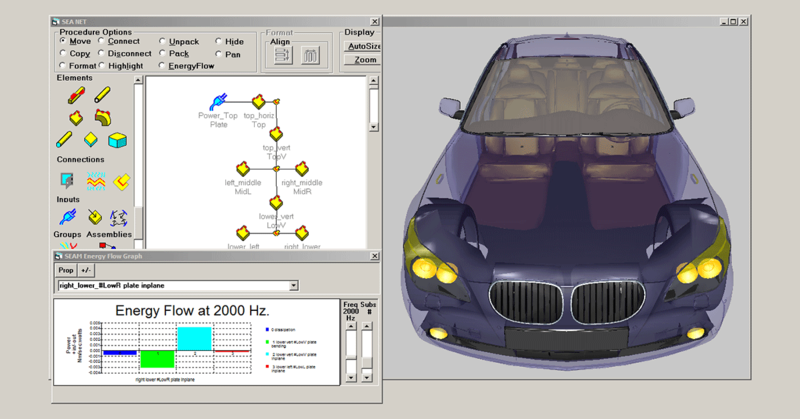 SEAM software added to Altair's portfolio of simulation and solver solutions.1 Apr 2019 Troy - Altair, a global technology company providing solutions in product development, high-performance computing and data intelligence, has acquired Cambridge Collaborative's SEAM software, best-in-class high-frequency noise and vibration predictive technology. Increased exposure to comfortable, quiet cockpits, cabins and appliances are driving consumer demand for improved sound quality and user experience. Cambridge Collaborative has been a world leader for more than 45 years, as evidenced by their impressive client roster - ranging from defense, major auto and aerospace OEMs to commercial products. The addition of SEAM software to Altairs portfolio of simulation and solver solutions creates a more expansive, comprehensive portfolio for solving tough engineering problems. "This sophisticated software has helped launch submarines, spaceships, cars and planes, and we are confident it will be a strategic complement to Altair's portfolio", stated James Scapa, Altair's chief executive officer and founder. "We continue to focus on our mission of enabling our customers to innovate intelligently through the use of our cutting-edge algorithms." Sound quality and design play a critical role in the success and adoption of new products across a wide range of industries, as they are associated product quality. Statistical energy analysis (SEA), embedded into SEAM software allows engineers and designers to identify and solve noise and vibration problems early in the design cycle, saving critical time and money, shortening the product development cycle and improving user experience. "This is a terrific day for SEAM customers; not only can they continue to use SEAM to help their ideas take flight, but they soon will enjoy the benefits of the Altair ecosystem", stated Dr. Patricia Manning, president of Cambridge Collaborative. "Engineers appreciate us because we have been by their side through our people and products helping them explore, protect and soar - and that's only going to improve exponentially with Altair." SEAM software will fall under the Altair HyperWorks platform and will be integrated with other Altair technologies like NVH Director and OptiStruct for noise and vibration analysis, and UltraFluidX to simulate noise with external aerodynamics studies.